Would you prefer the Type 62 to be more powerful? Friends, now the new year holidays are over the “War Thunder Winter Holiday” event is coming to an end, participating in this event brought, amongst other awards, the possibility of gaining a unique Chinese Type 62 tank. We would like to talk about this vehicle today. The Type 62 is presented in the game with its complete historical characteristics but is devoid of the 3BK2 HEATFS shell with an armour penetration of around 300mm. This choice was made deliberately to avoid the high Battle Rating for the vehicle so that playing this vehicle would feel more comfortable. As you know, we have always taken into consideration a vehicle's armament and this time is no exception. Some of our players feel it is necessary to add this shell to the vehicle’s ammunition roster. In this situation we are interested in the opinion of each player and therefore we are opening a survey, the results of which will show us your overall opinion on this matter. Please be careful to consider your choice. The adding of such a shell to the ammunition of the Type 62 will logically entail the raising of the Battle Rating, this particular shell must be researched and until this is achieved, the vehicle will experience greater difficulties in dealing with most of the opponents in battles around the higher rating than with the current BR. 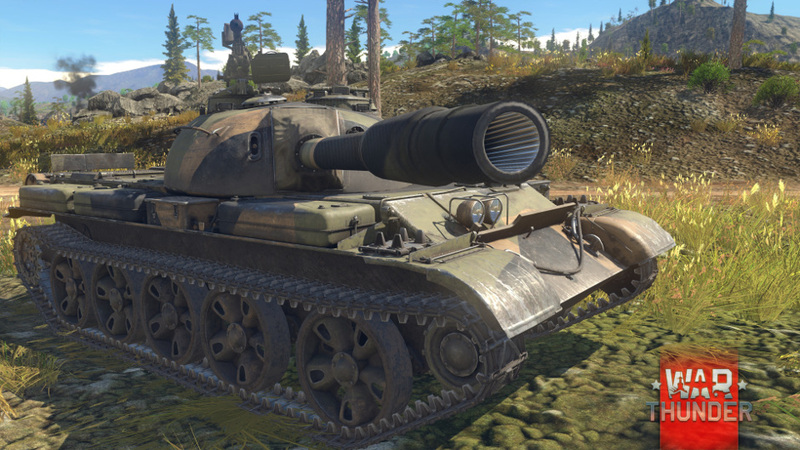 It is also recommended that you might like to familiarize yourself with the potential opponents that you could meet with the new BR of the vehicle (it will likely be around 6.7 in Realistic Battles). After considering all of these factors you need to make your choice carefully. Click here to participate in survey! We will take into account the results of the survey in this decision, but the final word will be with the development team.